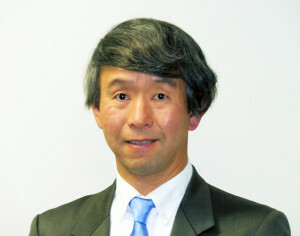 Takashi Oguchi is the Director and a Professor at the Center for Spatial Information Science, the University of Tokyo, Japan. He received his Ph.D. in Geography from the University of Tokyo, and broadened his experience at the University of Arizona, Colorado State University, and the Centre for Ecology and Hydrology (UK). He was also an adjunct faculty of the University of Memphis. He has participated in research projects on fluvial/hillslope geomorphology, geomorphometry, geoarchaeology, water quality, earthquake hazards, marine geology, land use and cover analysis, and spatial databases. He has conducted research in various foreign countries such as Bangladesh, China, Italy, Korea, the Philippines, Poland, Syria, Taiwan and the UK. He has authored and co-authored more than 100 peer reviewed articles and 30 book chapters. He has given several plenary/invited talks at international conferences on geography and geomorphology. He has been one of the editors-in-chief of the journal Geomorphology (Elsevier) since 2003, and on the editorial boards of several other international journals. He has also served as a reviewer for more than 30 ISI-listed international journals. He has been a steering committee member for several commissions/working groups of international academic societies such as the International Geographical Union and the International Association of Geomorphologists.